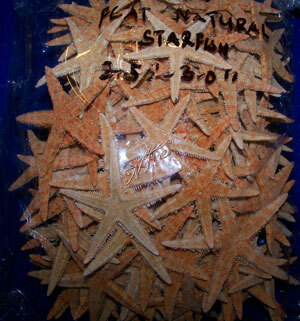 These starfish will measure around 2 1/2"+ to under 3"+ Flat Tan Starfish. We always add extra to Every bag! I just wanted to pass along How Happy we always are with the quality of the starfish you supply. Truly Glad to do business with you. God Bless You Thanks Darlene. Thanks for the extra to allow for any with missing points and even they are great and are able to use them in our crafts. As low as $7.95 a lb.